The J2EE flexible project builder creates J2EE deployable artifacts from J2EE flexible projects. The following test scenerio will utilize the flexible module structure within WTP to create a Web Project and a separate java project which can be used as a utility project. The J2EE flexible project builder will then create the correct output structure. This output structure will then be run on a tomcat server to insure J2EE compliance (please make sure you have a tomcat server installed). This test case consists of two WTP flexible projects, which must be created. 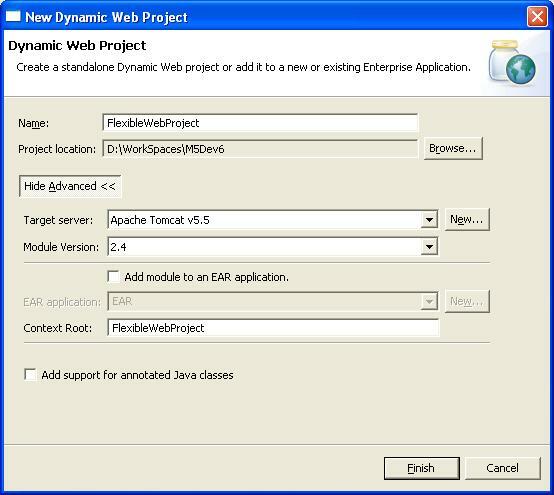 Create a flexible web project by selecting File->New->Project->Web->Dynamic Web Project. Name the web Project "FlexibleWebProject" and select finish. Open the web project and notice the .wtpmodules files in the root of the project. As indicated in the flexible project documentation, this file holds information which maps the individuals modules (and their dependent modules) to a deployable output location. In subsequent steps we will be modifying this file to add dependent modules. Create a Java Project by simply selecting File->New->Project->JavaProject. Name this Java Project "Remote". When this remote project is created select the project, right click and select New->Other->Java Source Folder. Name this folder "remote". Finally right click on the new source folder and select add New->Class. 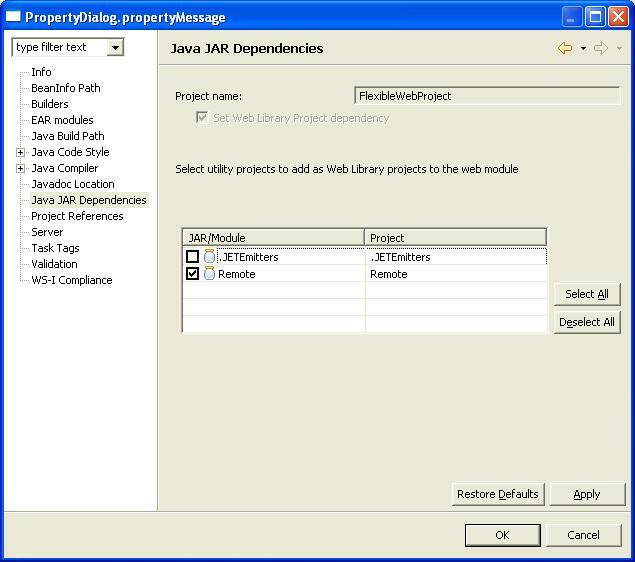 Open the Java Jar Dependencies page of the FlexibleWebProject, and select Remote. This will make the Java project a flexible project, add the project dependency to the Remote project in the Web project and modify the .wtpmodules file of the Web project. Next we must create a Servlet which will be used to ensure the flexible builder's output runs on a server. 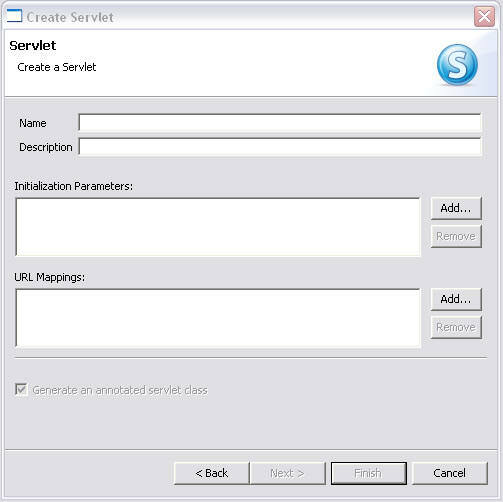 To do this select File->New->Other->Web->Servlet. The Projects/Modules for this test are now correctly setup. The next step is to build the workspace to create the desired output structure. To do this simply select Project->Clean, this will clean the project and run a build. You will now notice a .deployables folder in both projects. This represents the output data created via the flexible project builder.